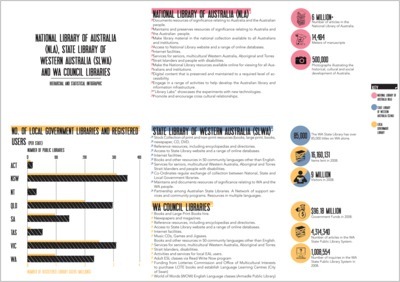 The visual display of the Public Libraries and the English as an Additional language User Project conveys a message of the potential role of libraries in building social capital and sustainable communities in multicultural Australia. The research investigates gaps in issues. The outcomes contribute to critical knowledge, which is likely to make a difference in the world.